Tell us what YOU would like to see updated next! A Month of Good, Evil, and Birthdays! 2019 is here, and that means... time to /party - this month is the month of BIRTHDAYS! We're celebrating the new year and a host of AE team member birthdays, including Vesper, Crulon, Nulgath, Stryche, and Memet. The adventures will continue all month long, so gear up and get ready to /SLAY! * At long-last, we are celebrating Memet's November birthday... now! ** If you were a 1st Upholder in OverSoul, you are going to be VERY happy with the free gift you'll get in AQW - the Void Awakening gear! 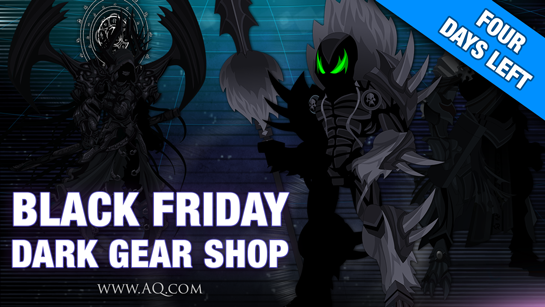 The gear will release in Nulgath's birthday shop, but YOU will get it for FREE! Thank You for Being Awesome in 2018! We hope you're having a fantastic holiday with your family and friends! Thank you for battling alongside us throughout 2018,and for supporting us with through purchasing Memberships and AdventureCoins! 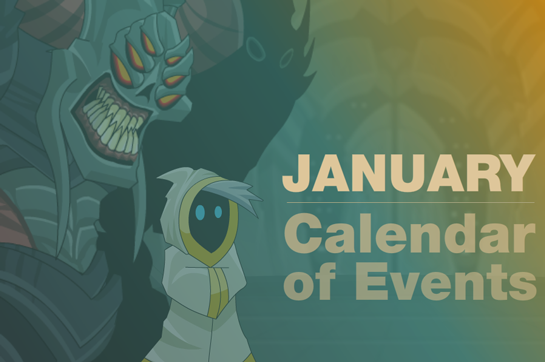 We hope you'll be there with us as we work to make 2019 the most explosive (and expansive) year in AQWorlds' history! 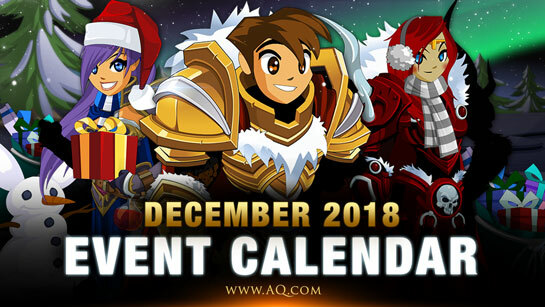 Plans for 2019 include a playable version of AQW:Mobile, expanding the game and world of Lore to a whole new audience. Our goal for AQW:Mobile includes new features like leaderboards and (fingers crossed, if we can make it happen) TRADING. /join NewYear to replay all our holiday events and -- if you're impatient for 2019 to get here (like I am) take out your rage on the 2018 Ball monster. Head North from the Enter area and defeat it for a chance to get the pieces of the Glacial Knight armor set. Also available tonight... Bank Previews and Searches! /join /bank to check it out and see all the gear you've stashed away. Return on Monday, December 31st for all our 2019 rare items and Vesper's birthday shop! A new year dawns for the Yetis of EverFrost Valley, and a new generation of their warriors is ready to undergo an ancient rite to welcome the new year. You are the first human ever invited to join in the ritual slaying of the ice spirit Chillbite, Guardian of the Valley. On December 29th, celebrate the new year with your new tribe… if you survive! With the defeat of the Chanpion of Chaos last summer, the Queen of Monsters has been released from her prison... and she is ready to show our world how little we REALLY know about the nature of monsters! Tonight's release continues the Rise of the WorldBreaker trilogy in the /Northstar map. If we don't want Karok's horde of monsters to join forces with the QUEEN of monsters, it's time to bare our blades and BATTLE ON... or the future will be MONSTROUS! Old and New Gear for the New Year! 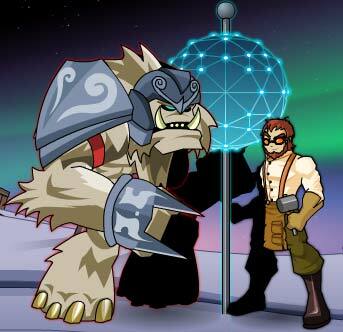 Talk to Quibble Coinbiter in Battleon to get The Fallen Mage Armor with a 15% Class Points bonus! 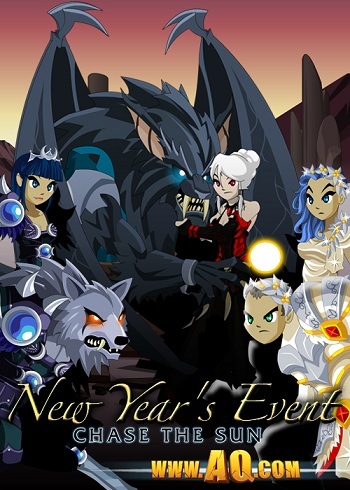 You can also talk to Lim in the NewYear map to access all the returning seasonal rares PLUS find the 2015 New Year's Ball house item in the New Year house shop! 2014: Year of the Horse! In Norse mythology, Hrimfaxi and Skinfaxi are the steeds of Night and Day, carrying the chariots of the sun and moon across the sky. Their equivalents in Lore are Frostmane and Embermane, and Ulfgar (remember him?) is worried that something is wrong with them. Embermane, the Steed of Day, has gone missing and her brother Frostmane is keeping the land in perpetual darkness. It's up to you to find her so she can bring back the sun - and bring in the new year. 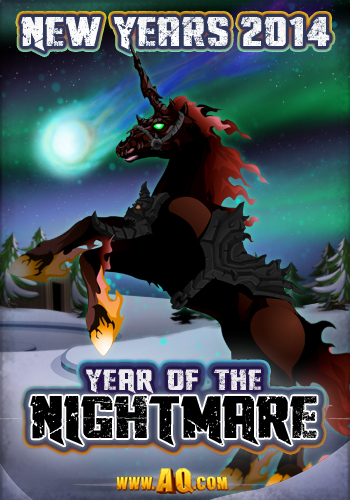 So then, who's that nightmare steed, you ask? Is he what's keeping Embermane from returning to the sky? /Join frostmane to find out! 2013: A New Dawn for a New Year! 2012 was the Year of Chaos, and we started the year off with a BANG! Literally! But tonight, you'll go BACK in time to meet Professor Iadoa (Professor Yana, anyone? 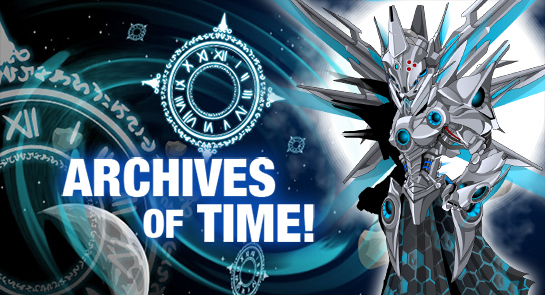 ), a famous Chronomancer who has been missing for decades. He should have stayed gone, though, because now that he's back... it's time for Chaos! The New Year's ball frozen in place. All clocks have stopped. Lim has returned to the frozen north to help is close out 2010 with a BANG! Literally. Well, that's what he INTENDED but once again he can't get his science all in one bucket and he needs your help to stop the ever hungry Icemaster Yeti from munching on this gizmos and doo-dads. We hope you guys have all had a great holiday. We all took a little time out of insane production schedule to spend some time with our friends and travel hoe to see family, but we are SO READY to get moving on all our plans for 2015! 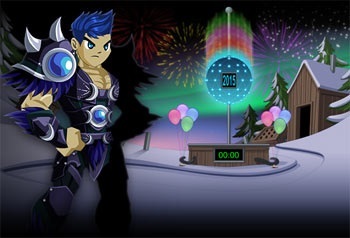 On Monday, December 31st, we'll release our 2019 New Year's shop, with the 2019 weapons and a host of new wintery gear, PLUS Vesper's pink, purple, and prismatic birthday shop! 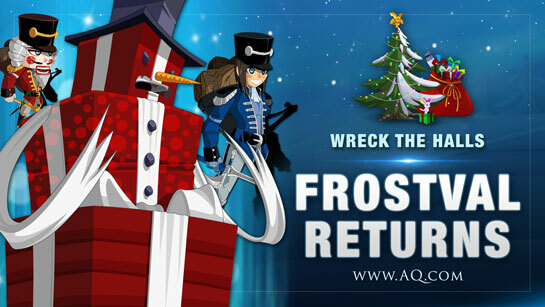 Log in and get your free Frostval Tree Presents! I will keep this short, because I have a horde of HeroMart elves eyeing the boxes I've been keeping from them. Thank you all for battling alongside us this month! To help you celebrate, we've got two new presents dropping from the Frostval Zard in Battleontown! 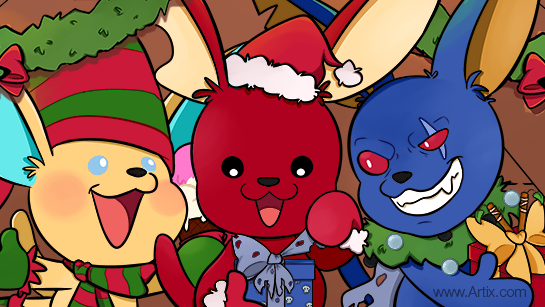 Both Frostval trees are decorated with moglin plushes, just like the one at the secret underground lab! From all of us here at the Lab... we wish you a VERY Merry Frostval with family and friends! New Story, AC Gift, Frostval Class, Server Boost, and more! Battle through the past, present, and future with Cysero and Warlic in our homage to a famous holiday tale… “A Frostval Peril!” Face off against Xanta Claus, IceMaster Yeti, and one of the coldest, most magically-powerful Infernal Mages Lore NEVER wants to see come to power. 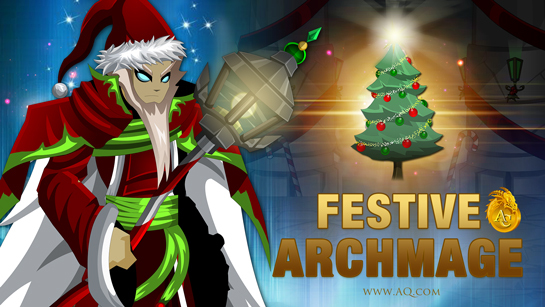 Teach Warlic the meaning of Frostval and bring joy, cheer, and PRESENTS to all this weekend! After the release, find the Spacetimebobulator in /frostvalperil to begin the farming quest to unlock the pieces of the 0 AC CheerCaster set! Our Holiday Limited Quantity sets go on-sale tonight at 6 PM EST (and will restock throughout the weekend). 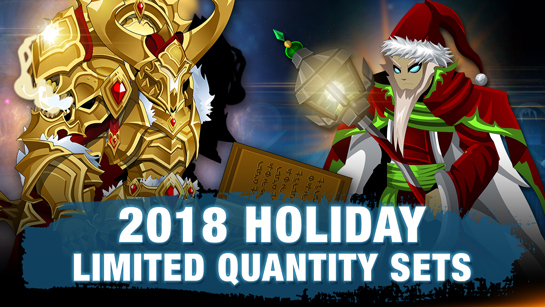 Find Dage's Holiday Paragon of Light set, Nulgath's Santa Warlic set, and more at our Limited Quantity Sets page… but hurry, because once they’re sold out, they’re gone forever! Each package also comes with a unique badge in your Book of Lore and on your character page. Become a Frostval Barbarian! Battle to save the world by channeling your inner fury. This is one of our best support classes… unless the “Enraged” status is active. Then, you become an AoE-damaging beast, destroying any minion in your path. Immediately unlock the Class for 2,000 ACs in Robina’s Class shop, or quest to unlock a 0 AC variant. AQW community artist Yo Lae made SO many amazing Frostval Barbarian items that we added several of them to Giefury, as 0 AC monster drops. Talk to Robina in Frostvale to quest for the Holiday Paladin set! Take on ANY of the very festive Vordred bosses for a chance to get the 12 Santa Skulls needed. Turn in the quest to unlock the entire 0 AC set! The Holiday Paladin armor and cape are a gift from the AQW team to you, so the higher the level of Vordred you take on, the higher the drop rate for the Santa Skulls! Please note: the female Paladin armor file was corrupted late this afternoon. You will see the male art until Monday, when a fix is rolled. Every year, we award free AdventureCoins to all the heroes who have been battling alongside us through the winter events... and this year is no exception! 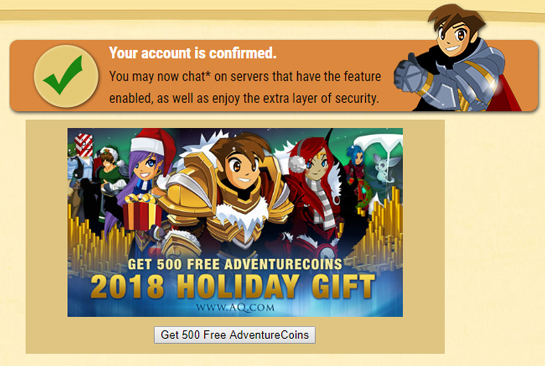 We are giving 500 FREE AdventureCoins to all heroes who log into their account manager with a confimed email address as our way of saying "thanks!" 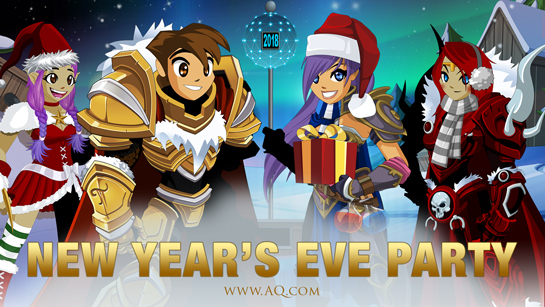 for supporting and enjoying AQWorlds this year. Holiday Sets go on sale this Friday! Meeeeeeeerry Frostval, Heroes! We've got a blindingly-brilliant set of gear for all you real-life rare collectors. 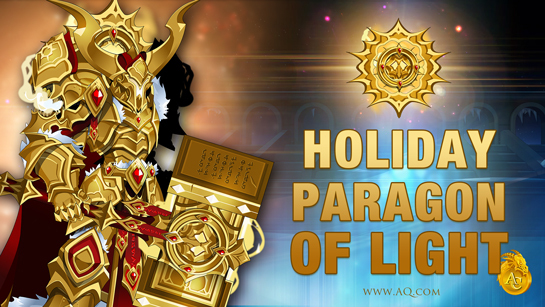 Find Dage's Holiday Paragon of Light set, Nulgath's Santa Warlic set, and more at our Limited Quantity Sets page starting this Friday, December 21st, at 6 PM EST! Each package also comes with a unique badge in your Book of Lore and on your character page! 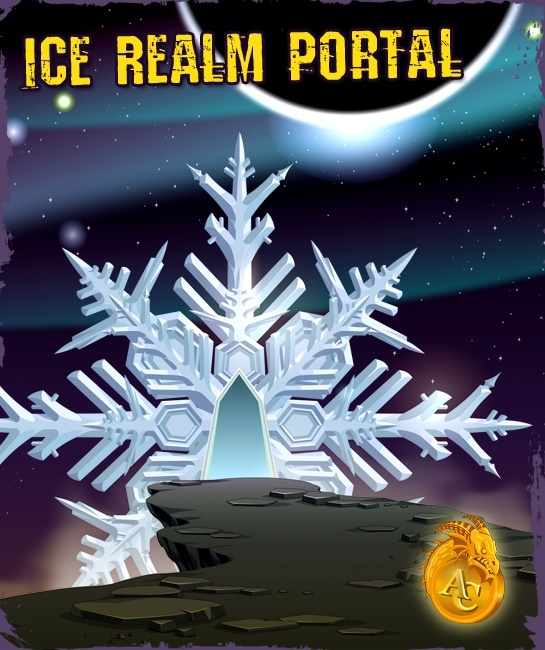 Note: the BattleLord of Ravens set, Ice Portal house, and SnowMoglin house packs will not restock. The quantities you see are the final ones... once they are sold out, they'll never return! Confirm your Email to Unlock our 2018 Holiday Gift Later this Week! Every year, we award free AdventureCoins to all of our heroes who have been battling alongside us through the winter events... and this year is no exception! Later this week, (just in time for Frostval!) 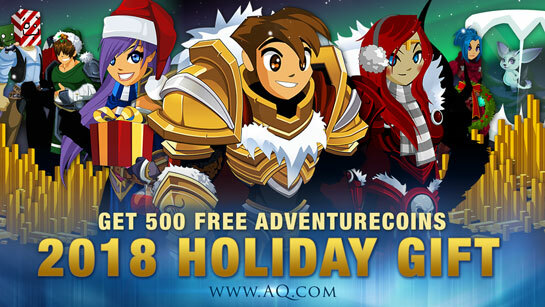 we are giving 500 FREE AdventureCoins to all heroes with a confimed email address as our way of saying "thanks!" for logging in and participating in the releases we've created for you! Enjoy your free 500 ACs! Happy Holidays from Artix, Alina, and the AQW Team! 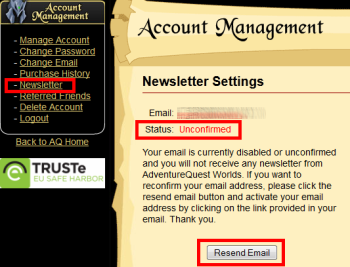 Need to update your AQW Account with an active email address? 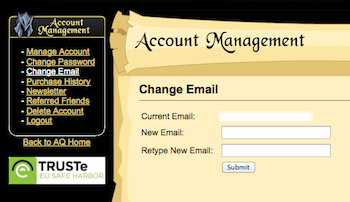 Click the “CONFIRM YOUR ACCOUNT” link in that email and you’re all set! Talk to Khuddar Khamundi in Battleon until Thursday, December 20th at 6 PM EST to get tickets for the Fesetive ArchMage set and Treasure Pack. If your ticket is not selected, it will be replaced with 3 60 Minute XP Boosts. 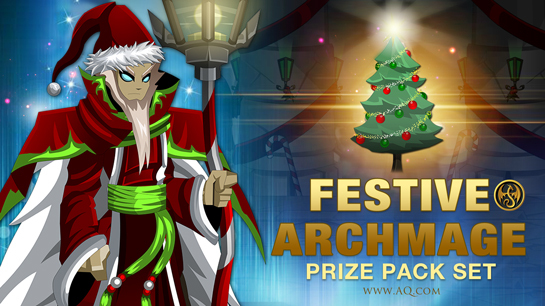 Festive ArchMage prize winners will automatically receive their Book of Lore and character page badges, and can buy their 0 AC set items from the badge shop. The collection of items is SUPER-COOL, as you can see in the screenshot above, and includes items crafted by Dage the Evil, Nakana Rei, Aranx, and Yo_Lae. 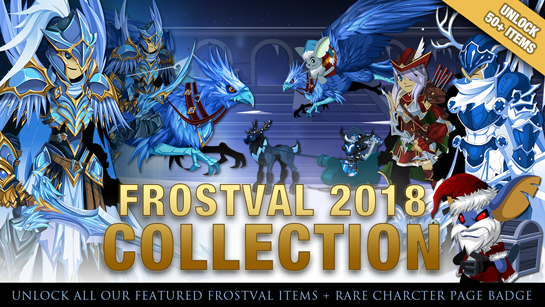 The 2018 Frostval Collection chest costs 10,000 AdventureCoins (but unlocks over 20,000 ACs worth of gear)! Just want a couple of the items listed above? 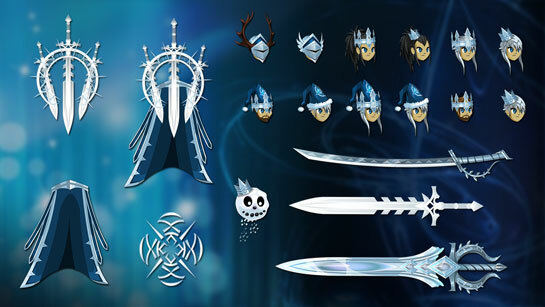 Apart from the exclusive pets, all of the gear contained inside the Frostval Collection chest will also be available to buy individually in Quibble's shop. There are over 50 (maybe 60... Reens is still setting up the Frostval Barbarian Class accessories!!!) items to unlock in the Frostval 2018 collection chest. In the past, all of the gear in our collection chests has gone rare. 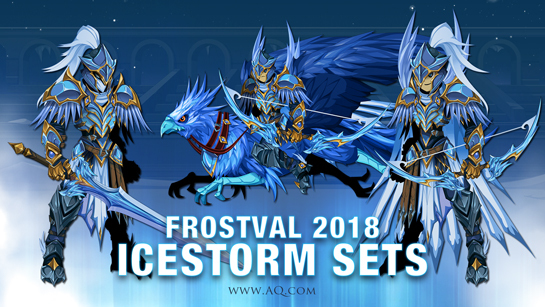 This year, though, we are including several of our featured Frostval sets in the collection chest: the Festive Archer and the IceStorm Warlord. 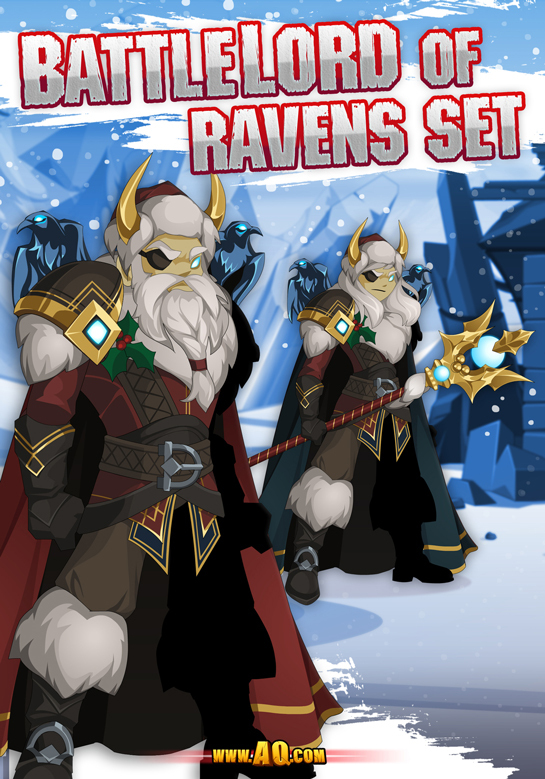 Next year, those sets will be available directly in our seasonal Frostval shop, but will not be included in the collection chest. 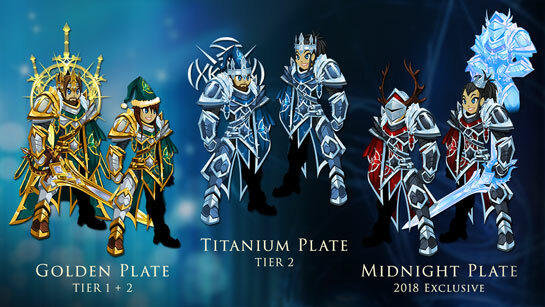 The Frostval 2018 Limited Quantity Sets will go on sale at 6 PM EST, and will feature the Holiday Paragon of Light armor set + Pet, the BatttleLord of Ravens set, the Santa Warlic set (AC version) and the SnowMoglin and IceRealm Portal houses. Find more details on the quantities and prices of our LQS sets next week! * The Frostval Barbarian Class will also be available for 2,000 ACs or by farming. 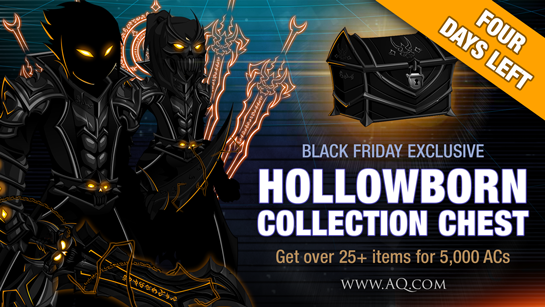 ** OverSoul fans, this is your chance to get the Santa Warlic set in AQWorlds! For news about the upcoming Warlic's Treasure Frostval 2018 OverSoul release, keep an eye on Twitter next week. SLAY Bells are ringing this weekend! 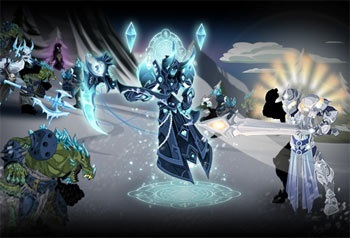 Our Frostval celebration continues this Friday at www.AQ.com with a bounty of new gear, an all-new battle arena, and a level-cap increase to 90! Heroes of all levels and class type are invited to fight through the ranks of the IceStorm Raiders for honor, glory, and prizes. Take on this weekend’s level 100 boss -- Warlord Icewing -- with a group of friends, or try to fight him solo if you're a high-enough level! 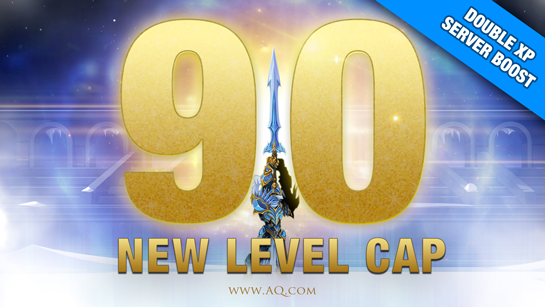 The Level Cap Increases to 90! To celebrate, we've added a DOUBLE XP server boost. 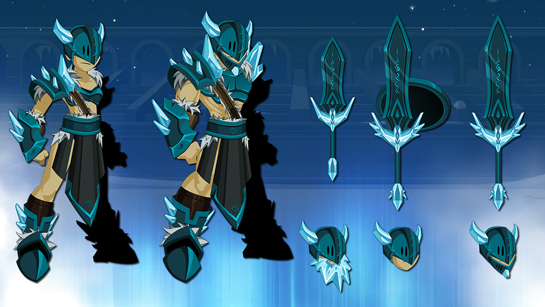 Next week, we'll add Double Gold, Rep, and Class points as we releaes the Frostval Barbarian Class. Warriors, Rogues, and Wizards of all levels and ranks are invited to fight through the ranks of the IceStorm Raiders for honor, glory, and new gear! 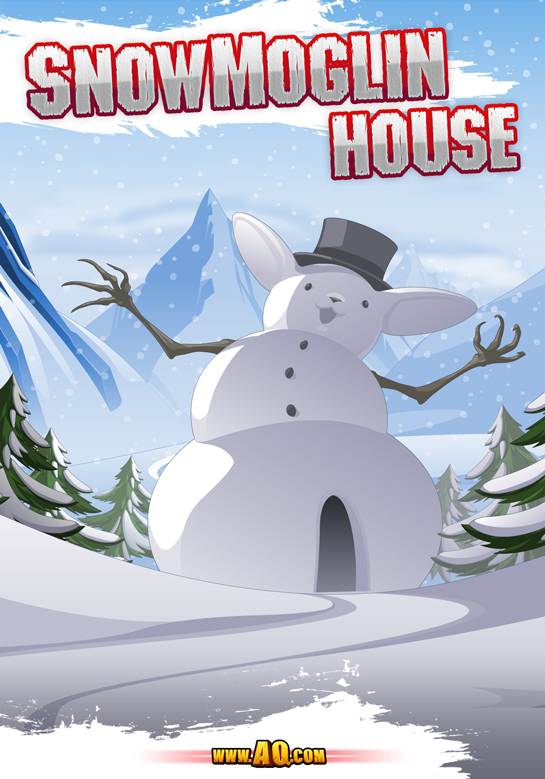 Battle icy opponents from level 5 to 100 as you earn EXP and gold. High-level heroes can blast their way to the end of the arena to take on the level 100 Warlord IceWing boss. The dev team's goal is to have the IceStorm arena serve as the best level farming area in-game - with the smoothest, most balanced progression, and high-level monsters for our more experienced heroes. 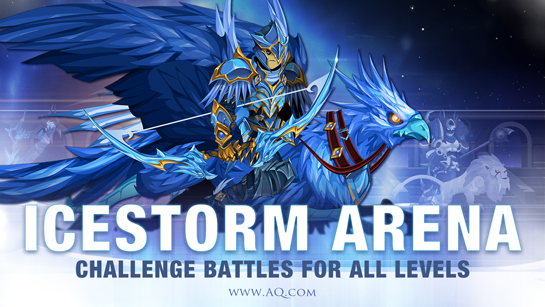 Plus, take on Warlord IceWing for a chance to get the Boreal Bardiche and Cavalier Claymore! Who are the IceStorm Raiders? After Tyndarius’ mortifying defeat in the Etherstorm Isles, and his rejection by the Queen of Monsters, the islands were abandoned… until King Rimescar and his army moved in to annex the lands. Ice and snow now blanket an area once known for its volcanic activity. To honor the winter holidays, he’s thrown open the arena to Lore’s most well-known and skilled hero… YOU! In the interest of updating some unbalanced areas and quests in the game, we've adjusted some monster levels and quest rewards. * The Nothing monsters in the member-only /nightmare remain level 99. I know.. the Design Notes look so EMPTY! I have been sick since Monday night, and am just now getting back onto a computer. In place of the normal pics, I've crafted a clean, simple image as a placeholder. 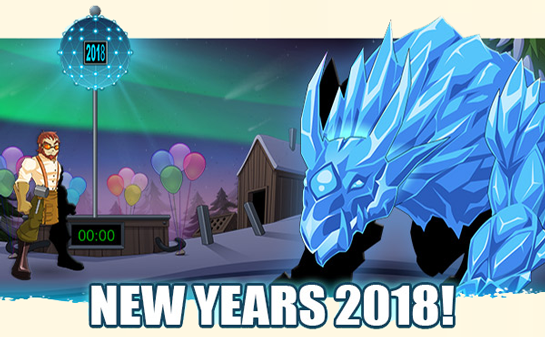 We'll have many impressive, epic images in tomorrow's Design Notes, along with full details of Quibble's Shop, the Frostval 2018 collection chest, what goes rare, what won't, why the IceStorm Raiders have opened this new arena... and more (like what to expect from next week's Limited Quantity sets). * Like the Spitfire Enhancements, the Darkness Enhancements have a limited level range, and will not receive updates this weekend. ** A double XP boost starts this weekend. 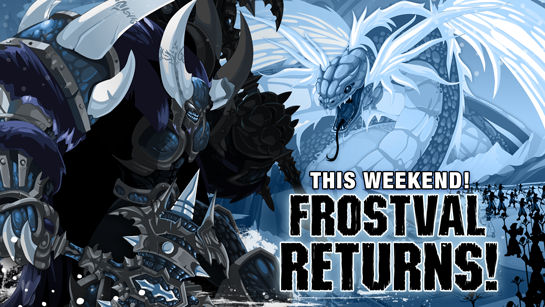 Next weekend, in honor of Frostval, we'll have a Double XP, Gold, Rep and Class Points boost! 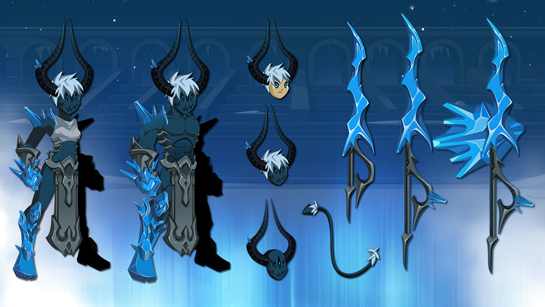 FrostScythe also drops an all-new version of his armor set, crafted by the incomparable Aranx just to help you celebrate Frostval! ** Created just for you by AQW Community artist, Dominik! The blue variant will arrive in the Featured Gear shop this weekend. Somebody PLEASE think of the children! An icy ancient horror has kidnapped them, and they need your help. A bounty of battles and XP! That's all leading up to an ALL NEW FROSTVAL ADVENTURE, where we'll battle through the past with Cysero, Lim, and Sora as they teach their bestest friend EVER, Warlic, the true meaning of Christmas. (PSA: things go very, very badly BUT you'll meet some of your oldest, coolest monster-buds from DragonFable.) You are welcome to all of the great Frostval seasonal rares and the heart-warming Frostval stories. Upgrade to unlock the December exclusive gear sets! 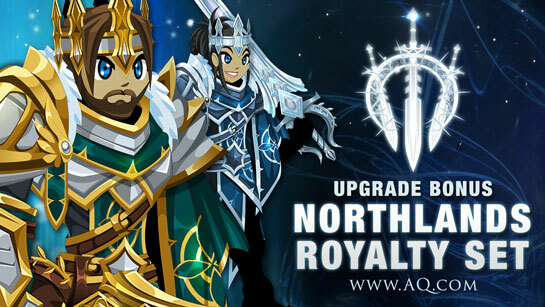 Unlock the all-new Northern Royallty upgrade bonus gear starting Friday, December 7th at 6 PM EST! Buy any AC or membership package worth $10 USD or more to unlock the color-custom Northland Royalty set or get the bonus color-custom Titanium Royalty armor and accessories with the 12,000 AC or 12 month membership packs! December 2018 upgrade exclusive: Midnight Royalty armor and accessories. 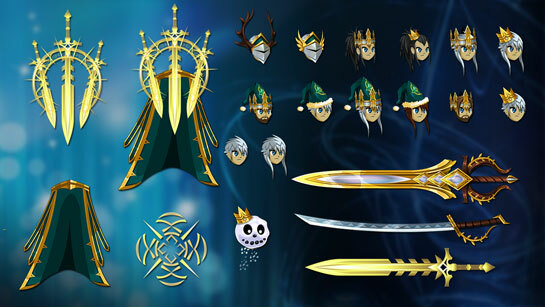 The Northlands Royalty gear* will be available as an upgrade bonus set every December when you buy membership or AdventureCoins. All packages will also come with the Northern Royalty character page badge and, this year only, the 2018 exclusive character page badge. This upgrade bonus gear will be available until 6 PM EST on January 4th, 2019. *not including the 2018 exclusive gear. 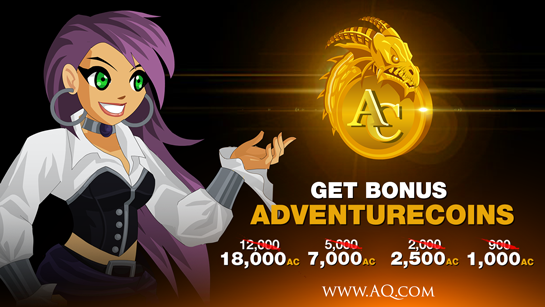 Get up to 50% more FREE bonus AdventureCoins when you buy any Adventure package until January 2nd! If you're excited about all our 2018 holiday items, new gear in the Wheel of Doom, or our 2019 New Year's rare gear, now's the time to top up your ACs and get even more for free. 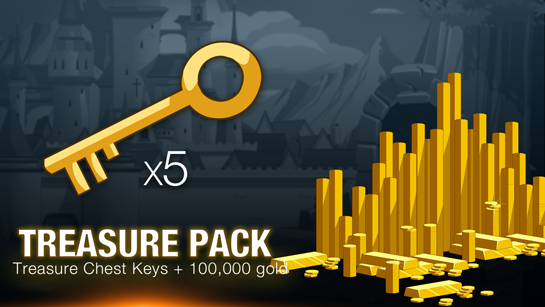 The bigger the AC package you buy, the more free AdventureCoins you'll get! * Note: bonus AdventureCoins are only available with AdventureCoin packages. The special bonus offer does not apply to membership packages. 3 Days Left to get our exclusive upgrade bonus gear! Unlock the all-new Apocalyptic DragonLord upgrade bonus gear now when you buy any AC or membership package worth $10 USD or more to unlock 12 pieces of the Apocalyptic DragonLord set. 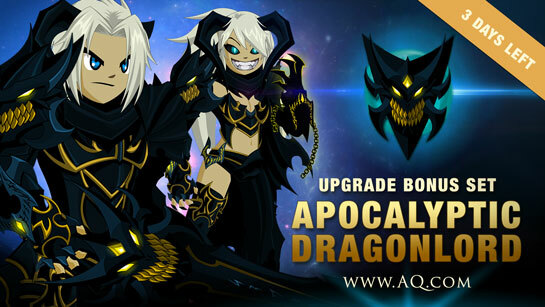 Get all 23 items, including the bonus Apocalyptic DragonKing armor and Watcher helms, with a 12,000 AdventureCoin or 12 month membership pack! All packages will also come with the Apocalyptic DragonLord character page badge. This upgrade bonus gear will be available until 6 PM EST on December 7th, 2018.